What Can A Soul Contract Reading Tell You? How Do I Turn Our Longtime Friendship Into Longterm Romance? 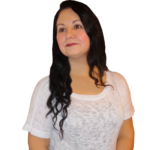 I am a Psychic Medium and ongoing sacred studies student graduating in Advanced Esoteric Studies, Metaphysics, Mediumship, Angelology and World Religions. Besides offering Readings and Spiritual Services in my Traverse City Studio and throughout Northern Michigan, I also help clients worldwide though Email and Phone.